Who doesn’t enjoy pasta? One of the best thing about pasta is the differences in size, shape, and texture. And the secret everyone knows — pasta is really just a vehicle for the plethora sauces and ingredients that make each dish unique. Whether you’re looking to swap out that quinoa or find a pasta alternative for the kids, look no further. Dr. Gundry’s got you covered with these products from your e-grocery shelf. Stock your pantry now. The Paleo Sweet Potato Starch Noodles - 1.1lbs (1 Bag). A Dr. Gundry favorite. The Miracle Noodle Shirataki Konjac Pasta and Rice Variety Pack, 7 oz (Pack of 6), Angel Hair, Rice, Fettucine, Zero Net Carbs, Low Calorie, Gluten Free, Soy Free, Keto Friendly. A Dr. Gundry favorite. 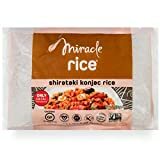 The Miracle Noodle Shirataki Konjac Rice, 7 oz (Pack of 6), Zero Net Carbs, Low Calorie, Gluten Free, Soy Free, Keto Friendly. A Dr. Gundry favorite. The Miracle Noodle Organic Shiritaki Konjac Spaghetti Pasta, 7 oz (Pack of 6), Low Carbs, Low Calorie, Gluten Free, Soy Free, Keto Friendly. A Dr. Gundry favorite. The Miracle Noodle Organic Shiritaki Konjac Pasta Rice Variety Pack, 7 oz (Pack of 6), Spaghetti, Fettuccine, Rice, Low Carbs, Low Calorie, Gluten Free, Soy Free, Keto Friendly. A Dr. Gundry favorite. 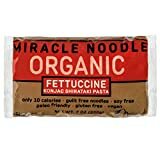 The Miracle Noodle Organic Shiritaki Konjac Fettucine Pasta, 7 oz (Pack of 6), Low Carbs, Low Calorie, Gluten Free, Soy Free, Keto Friendly. A Dr. Gundry favorite. The Miracle Noodle Ready to Eat Shirataki Spaghetti Noodles, 8 oz (Pack of 6), Low Carb, Low Calorie, Aroma Free. A Dr. Gundry favorite. The Miracle Noodle Spinach Shirataki Angel Hair Pasta Noodles, 7 oz (Pack of 6), Low Carbs, Low Calorie, Gluten Free, Soy Free, Keto Friendly. A Dr. Gundry favorite. 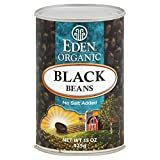 The Eden Foods Organic Black Beans, 29 oz. A Dr. Gundry favorite. 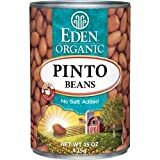 The Eden, Organic Pinto Beans, 15 Ounce. A Dr. Gundry favorite. The Eden Organic Garbanzo Beans 15.0 OZ(Pack of 2). A Dr. Gundry favorite. The Arrowhead Mills Puffed Millet Cereal (Pack of 6). A Dr. Gundry favorite. The Bob's Red Mill Millet, 28oz. A Dr. Gundry favorite. The Keto and Co - Dry Riced Cauliflower - 5 Servings, 1lb Prepared. A Dr. Gundry favorite. The Outer Aisle Gourmet Cauliflower Sandwich Thins - Low Carb, Gluten Free, Paleo Friendly, Keto (Original, 24 pack). A Dr. Gundry favorite. The Jayone Paleo Sweet Potato Starch Noodles (자연나라 당면) (1.1 Lb x 2 Bags). A Dr. Gundry favorite. The Jayone Paleo Sweet Potato Starch Noodles (자연나라 당면) (1.1 x 3 Bag). A Dr. Gundry favorite. The Jayone Paleo Sweet Potato Starch Noodles (자연나라 당면) (1.1 Lb x 4 Bags). A Dr. Gundry favorite. 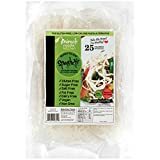 The Miracle Noodle Garlic and Herb Shirataki Fettucine Pasta Noodles, 7 oz (Pack of 6), Low Carbs, Low Calorie, Gluten Free, Soy Free, Keto Friendly. A Dr. Gundry favorite. The Miracle Noodle Shirataki Konjac Angel Hair Pasta, 7 oz (Pack of 6), Zero Carbs, Zero Calories, Gluten Free, Soy Free, Keto Friendly. A Dr. Gundry favorite. The Miracle Noodle Gluten Free Zero Carbs Keto Shirataki Pasta and Rice,Variety Bundle of Six 7-Ounce Packages: One Each of Angel Hair, Fettucine, Rice, Spinach Angel Hair, Garlic Herb Fettucine, and Ziti. A Dr. Gundry favorite. The Miracle Noodle Black Shirataki Angel Hair Pasta Noodles, 7 oz (Pack of 6), Low Carbs, Low Calorie, Gluten Free, Soy Free, Keto Friendly. A Dr. Gundry favorite. The Miracle Noodle Capellini Shirataki Pasta Noodles, 7 oz (Pack of 6), Zero Carbs, Zero Calories, Gluten Free, Soy Free, Keto Friendly. A Dr. Gundry favorite. The Miracle Noodle Shirataki Konjac Fettuccine Pasta, 7 oz (Pack of 6), Zero Carbs, Zero Calories, Gluten Free, Soy Free, Keto Friendly. A Dr. Gundry favorite. The Miracle Noodle Kanten Instant Pasta, 0.5 oz, Zero Net Carbs, Zero Calories, Gluten Free, Soy Free, Keto Friendly. A Dr. Gundry favorite. 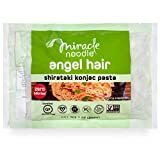 The Miracle Noodle Spinach Shirataki Angel Hair Pasta Noodles, 7 oz (Pack of 24), Low Carbs, Low Calorie, Gluten Free, Soy Free, Keto Friendly. A Dr. Gundry favorite. The Miracle Noodle Gluten Free Zero Carbs Keto Blood Sugar Friendly Shirataki Pasta Italian Style Variety Bundle of THREE 7-Ounce Packages: One Each of Spinach Angel Hair, Garlic Herb Fettucine, and Ziti. A Dr. Gundry favorite. 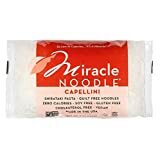 The Miracle Noodle Shirataki Pasta Variety Pack, 7 oz (Pack of 6), Spinach Angel Hair, Ziti, Capellini, Low Carbs, Low Calorie, Gluten Free, Soy Free, Keto Friendly. A Dr. Gundry favorite. The Miracle Noodle Ziti Shirataki Pasta Noodles, 7 oz (Pack of 6), Low Carbs, Low Calorie, Gluten Free, Soy Free, Keto Friendly. A Dr. Gundry favorite. The Eden Organic Black Beans 15.0 OZ(Pack of 4). A Dr. Gundry favorite. The Eden Organic Black Beans No Salt Added 15 OZ (Pack of 6). A Dr. Gundry favorite. 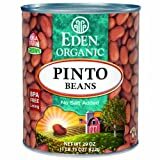 The Eden Organic Pinto Beans, No Salt Added, 15-Ounce Cans (Pack of 12) ( Value Bulk Multi-pack). A Dr. Gundry favorite. 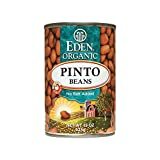 The Eden Pinto Beans, Organic, 29-Ounce (Pack of 6). A Dr. Gundry favorite. 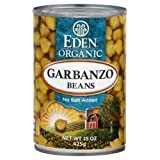 Eden Foods Organic Garbanzo Beans, 29 Ounce Can - 12 per case. The Eden Foods Organic Garbanzo Beans, 29 Ounce Can - 12 per case.. A Dr. Gundry favorite. 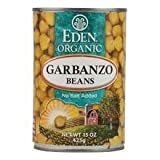 The Eden Organic Garbanzo Beans, No Salt Added, 15-Ounce Cans (Pack of 12) (Value Bulk Multi-pack). A Dr. Gundry favorite. The Eden Garbanzo Beans (Chick Peas), Organic, 29-Ounce (Pack of 6). A Dr. Gundry favorite. The Eden Organic Garbanzo Beans 15.0 OZ(pack of 4). A Dr. Gundry favorite.